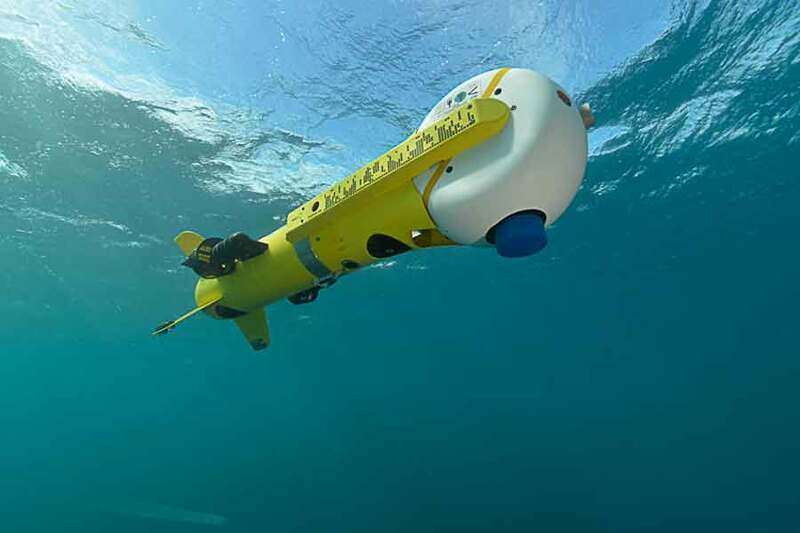 The first completely automated underwater robot demining system has been delivered to an Asian navy customer by French robotics company, ECA Group. This navy, says ECA Group, is already renowned for its specialisation in the field of mine warfare, and is switching from traditional minehunter vessels (50 metre boats managed by a crew of 40 people) to a new unmanned system, controlled by only three people, allowing the Navy to cut operational costs and reduce human risks. ECA says the unmanned solution for mine countermeasure (MCM) operations is the first completely automated underwater robot demining system, including EMDS (Expandable Mine Disposal System), which can be remotely piloted and uses a highly secured dedicated link for neutralisation. The ECA system is complemented by an unmanned surface vessel (USV) built by a partner company. The USV is equipped with an inspection function using the K-STER I identification vehicle and destruction via the K-STER C mine disposal vehicle. All the vehicles are launched autonomously with an automated launch and recovery system, remotely piloted via a radio or satellite link. Onshore, the crew launches and pilots the inspection vehicle remotely from the command and control centre. If a mine is found, a disposal vehicle, K-STER C, is deployed by a dedicated launching system, in order to destroy the mine. Sea acceptance tests of the first system is scheduled for September 2017. ECA says training for maintenance and usage of the unmanned naval drone system was conducted at the end of May in its premises in the south of France. The Belgian, Dutch, French, UK and Norwegian navies are also looking at future stand-off MCM concepts, which keep the mother vessel and crew at a safe distance from the minefield, using a combination of manned and unmanned systems. SUBSCRIBE to our magazine to find out more about how navies are exploring an array of unmanned systems for stand-off mine countermeasures, and why the anti-submarine warfare community is still not ready to move to unmanned.